Therapeutic strategies for the posterior ocular segment face tremendous challenges due to the presence of anatomical and physiological ocular barriers. 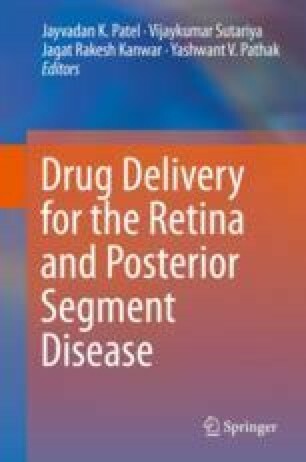 Although several efforts have been conducted to manage the retinal dysfunction via various modes of administration, current therapeutic options have their disadvantages since these routes are invasive and followed by postinjection complications. Due to the possibility of encapsulating medications and to maintain their bioavailability in abundance, nanotechnology has been widely employed in the ophthalmology field particularly to manage disorders regarding the distal point of the eye. In this chapter, we elaborated the concept of using nanoparticles to treat the posterior part of the eye. B.a. Lomb, Retisert [package insert], Rochester, NY, 2009. http://www.retisert.com/retisert_implant.html.